If we’re going to live on Mars someday, then at some point, we're going to need some oxygen. There’s plenty of water already there, and even some snow, but without that vital molecule, we’ll be pretty screwed. Speaking to Futurism about America’s hopeful rush to the Red Planet, NASA Acting Chief Administrator Robert Lightfoot, Jr. highlighted one possible way of getting oxygen onto Mars: via the next lander that’s going there. It’s not going to take containers of the gas with it, of course – it’ll be manufacturing the compound itself when it arrives. “The next lander that is going to Mars, Mars 2020, has an experiment where we are going to try and actually generate oxygen out of the atmosphere on Mars,” Lightfoot, Jr. explained. So how exactly would this experiment work? Right now, the atmosphere on Mars is very different from that of Earth’s. Our pale blue dot is predominantly composed of nitrogen, but a good 21 percent of it is oxygen. Our crimson celestial neighbor is comprised of carbon dioxide (95 percent), with a little nitrogen (3 percent) thrown in. Mars’ atmosphere is also incredibly thin. Many millions of years ago, the Martian atmosphere was far denser, and even contained Earth-like amounts of oxygen. However, its magnetic field failed, and the powerful solar wind stripped most of the gases away and propelled them into space. Today, just trace amounts of oxygen lingerin the upper atmosphere. One feasible way to boost oxygen levels on Mars would be to take some inspiration from nature. Photosynthesis actively turns carbon dioxide into oxygen all the time, so if something akin to this process can be compressed down into a small box, it could be attached to a rover.One method in which this is possible would be to use a powerful laser to “slice off” the extra carbon atom attached to the CO2 in the Martian atmosphere to produce delicious O2. Alternatively, you could use a fuel cell to split up the carbon and oxygen atoms from each other in a process known as electrolysis. 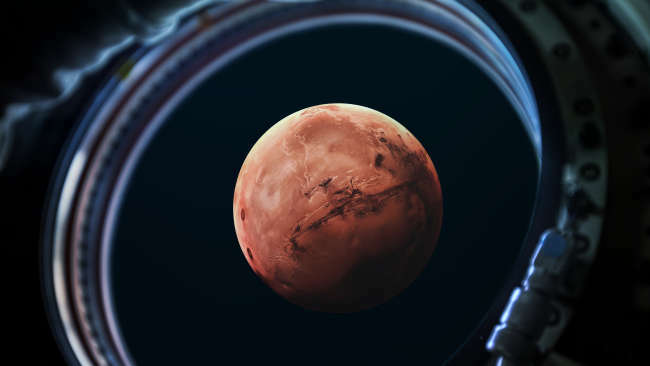 NASA is opting for the latter option, and they’ve installed MOXIE – Mars Oxygen In situ resource utilization Experiment – on the Mars 2020 rover. The goal is to produce small amounts of oxygen as purely as possible at the surface. If successful, NASA plans to place a MOXIE-like instrument, but about 100 times larger, on Mars that would produce oxygen for future astronauts to use when they arrive. As a gas, it’s breathable; as a liquid, it’s literal rocket fuel. Short of terraforming Mars, this is an exciting step to make the fourth rock from the Sun a lot more livable.